Trying to keep our teeth as white as we want them to be is often not very simple to do on our own. If you smoke or drink and eat foods that leave stains on your teeth, brushing and flossing your teeth every day may not be enough to keep them looking clean and white looking. If this sounds like your teeth, whitening be the perfect things to help make bring your teeth color back to the color they should be naturally, and we can even whiten them to a color that is whiter than that if requested. 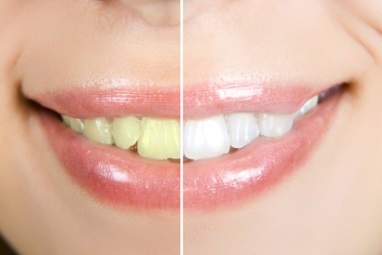 We can whiten your teeth with the help of whitening trays that we will make for you. It takes only two simple steps to carry this out. We will start the process by making a careful mold of your teeth. This will give us the ability to custom create the whitening trays that you can make use of many times. You will receive whitening gel from us that you will place in the trays, and then you will wear them for a short time each day for a total of three days at most. You will notice that your teeth will whiten by as much as four to 8 shades, and you will love the final result! It can be a struggle to trying to keep our teeth white on a continual basis. This is because so many of us have discoloration that comes about due to drinking coffee, tea, soft drinks or eating a variety of stain-causing foods like berries sweets. This can occur even when we do our best to keep up with daily teeth maintenance. Whitening your teeth is perfect for getting the whiter teeth you’re looking for so that you can get back to your natural color or even whiten them further than that. BrightSmile is the high-quality treatment that we will make use of to whiten your teeth. 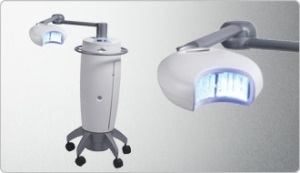 The procedure is carried out with a safe gel that can be used on you as you sit in the dentist’s chair, and a special light will be used to activate the gel so that it begins the whitening process. In as little as just one short visit, you can find yourself leaving our office with teeth that are as much as 10 shades whiter than you had when your visit started! Tooth bonding is procedure that will help to improve your smile. It’s an excellent way to improve imperfections in teeth such as chipped or fractured teeth, fill in gaps, use as a filling for cavities and more. Bonding takes place with a resin that will match the tooth that it is used on. First, adhesive gel will be used on your tooth, and then the resin will be placed over that and sculpted. Next, the resin will be hardened with the help of a light, and then it will be polished so that you no longer see the previous imperfection. Many people find traditional fillings made of silver amalgam to be unsightly, and bonding is sometimes used because it provides a marked improvement over silver. Bonding typically lasts for as long as ten years thanks to recent technology. Not only is it budget-friendly, it is also safe and beautiful looking. An inlay is commonly known as a filling. An onlay is commonly known as a crown. An inlay is is used to insert inside of a tooth cavity. An onlay is used to cover a tooth. These procedures are carried out to stop tooth damage from continuing, and they help to strengthen them as well. Inlays are used when the tooth cusps are not damaged. Conversely, when a cuspal fracture has occurred, an onlay will be used. For teeth that have extensive damage, and inlay is typically used. First, the dentist will remove all decay in the tooth being worked on. An impression of the teeth will be made and sent off to a laboratory. The lab will make a restoration that will be created from resin, porcelain or gold. This typically takes about three weeks to do, and you will be given a temporary onlay or inlay to wear during that time period. You will then have a second dental visit so that the onlay or inlay can be correctly placed in or on your tooth and set. You will have a natural-looking tooth when the procedure is done. Lumineers is the brand name of porcelain veneers that can be fitted to the front of your teeth. These veneers are thin enough that there is very little prep work that needs to be done to bond them to your teeth, and when the process is completed, you’ll have the beautiful smile you have always wanted. Because there isn’t a lot of work that needs to be done to your teeth to get them ready for the fitting, you will experience minimal or no irritation at all during the procedure itself. In fact, the work is typically completed within only one or two visits. Make a quick call to us to set up an initial consultation to discuss whether Lumineers are right for you! Getting veneers is one of the best ways to make a significant change that will help to redesign your mouth and smile. Veneers are extremely thin facings that are typically made from porcelain, and each one is used to cover an individual, natural tooth. They allow you to change the appearance of your teeth because of common issues that have occurred from crowding, misaligned or misshapen teeth, gaps, cracks, chips, stains and more. It typically takes only two or three visits on your part to have all the work done for fitting your veneers. During your initial visit with us, we will take the time to thoroughly explain the shape and look of your new smile with the help of the veneers. After that, we will work on getting your teeth ready for the new veneer replacements. We will next make impressions of your teeth. Our dental lab will be given the impressions made of your teeth so that they can create the final veneers. We make sure to use a laboratory that offers high-quality materials and superior craftsmanship for everything that we do. It will take approximately ten to fourteen business days to create your new veneers. You will have temporary veneers placed on your teeth while your permanent ones are being created at the dental lab so that you can try out your new, beautiful smile very quickly. You can trust that we will do everything necessary to ensure that your veneers feel natural to you. Finally, your veneers will be securely bonded to your teeth for a natural smile that will last you many years to come!